Accenting your new home was never so easy. An entry door is already a must, so why not make it grand? Look at the way the arch of the home in Paradise Valley Arizona is complemented by the arch of their iron door. With an impressive entry way, you need a door to measure up. 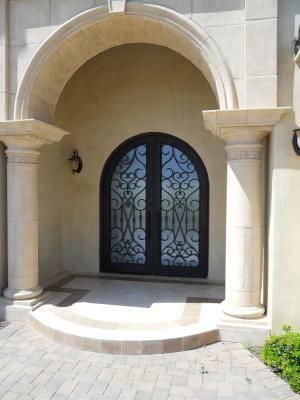 All Signature Iron doors are hand forged and durable. Call us and come visit our showroom in Phoenix Arizona to find out what makes Signature Iron Doors the nation’s leading iron work manufacturer!